Hi all! Linkup Friday!! Thanks to our amazing hostesses: the DC Trifecta Bloggers (Courtney from Eat Pray Run DC, Mar from Mar on the Run, and Cynthia from You Signed Up For What?!). This week&apos;s theme is Open Topic so I decided on showing my 5 favorite pictures from the Princess Half Weekend. Hope you enjoy! I plan on having all my recaps up next week so keep a look out for them! I have already written about the Expo so check it out here. I'm OBSESSED with this picture! So happy tourist genie was out! Celebrating all of our medals with Queen Elsa! It is Monday so we are linking up with another Magical Mickey with John at run.geek.rundisney and Katie from Adventures by Katie. This week, I will show a few pics from my fav weekend at the Princess Half marathon! I&apos;m still in WDW, enjoying my vacation but wanted to give a quick peek at the great time I had running! It was insanely cold in the beginning of the week and then got humid today. Overall, this weekend exceeded expectations! And how can I forget the greatest news of them all: RUNDISNEY PARIS SEPT 23-25,2016! It&apos;s on my calendar already-I need an around the world medal! And I&apos;m obsessed with the merchandise from this year including the jacket I got! It&apos;s so cute! So off to Epcot I go! Have a great day and I will post full recaps over the next week or so! 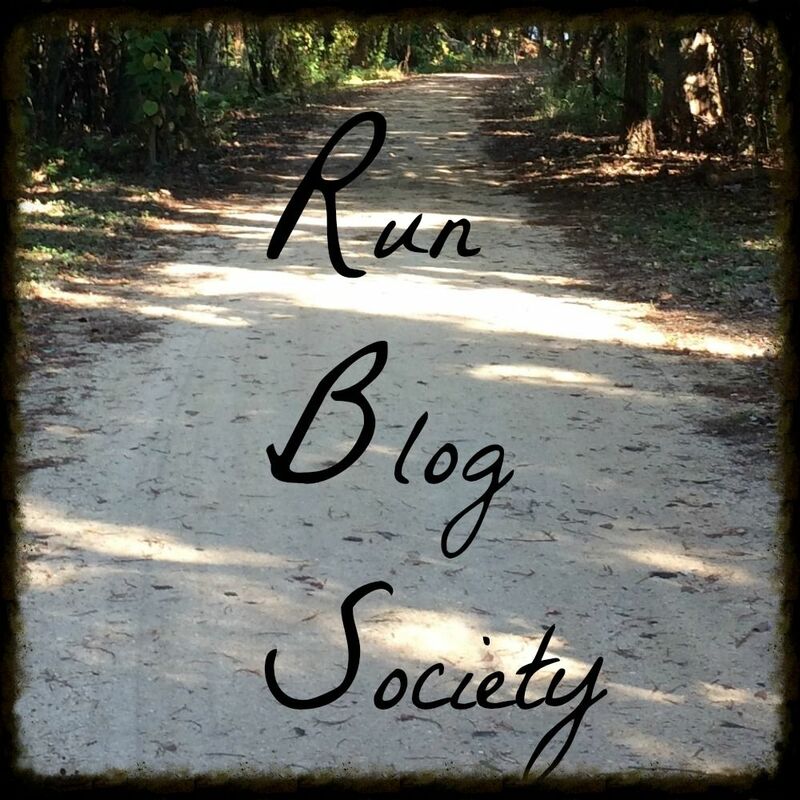 I t is Monday so we are linking up with another Magical Mickey with John at run.geek.rundisney and Katie from Adventures by Katie. This week, I will discussing Disneyland&apos;s upcoming 60th anniversary. They had a media announcement last Wednesday for all of the great fun coming to the Disneyland resort for the 60th Anniversary. The resort is under HEAVY closures and rehabs until May(Matterhorn is down, they are redoing Condor Flats, World of Color and fireworks are getting upgrades, all of Critter Country is closed, closures of the Fantasyland dark rides just to name a few) so not only do we have new things to look forward to but also some nice rides. Let&apos;s get to it! A new Nighttime parade called Paint the Night. It is very similar to the parade found in HK Disneyland and here is a review from Disney Tourist Blog. A new World of Color show focusing on Walt&apos;s Dream-I am very excited for this show! Here is the official announcement from the Disney Parks Blog. Remember-everything kicks off May 22nd. Hopefully they will soft preview a few things during Tink weekend! Anyone planning a trip for the Diamond celebration? I am currently planning o try and go the weekend it all starts! It will be crazy but memorable! Disneyland 60th celebration! Copyright to Disney. My goal is to stay ahead on my recaps this trip so I&apos;m blogging on the fly on the bus back to Grand Floridian! We did MK this morning, early lunch at Be Our Guest and then headed to Contemporary to catch the bus to the expo. Our expo bus driver was so horrible. We sat towards the front and my cousin remarked that we need to plan a Disney cruise (which we do! Castaway Challenge anyone?) and the bus driver added in loudly-no you need to take a real cruise. Disney cruises sprinkle pixie dust. Ummm-yeah that&apos;s the point. Then he missed the exit and we went about 5 min off property before he could turn around. Then he was complaining about how Disney used to be affordable and now people have to decide between feeding their kids at MK or going to college. Ummm really? On a bus full of people heading to a Disney expo? Blah-left a bad taste in my mouth! Anyways, we walked in and Mal headed to get a sparkle athletic skirt and I went to get my bibs, picture and look at merchandise. The moment of truth: would I be A for the 5k and 10k? I WAS! I almost screamed out of excitement! There were a lot of people and a lot of people that didn&apos;t know where they were going so the process was a bit slow but it was fine. The pictures with the glass slipper bib were still easy and I went to get my shirts which I think are pretty cute! I went to look at the merchandise and it was about 150 people long!! Crazy! They mostly had princess merchandise so I decided to try my luck at the real expo store. My surprise: they had everything I wanted and looked pretty well stocked which was nice! I bought a green headband (to wear tomorrow), glass slipper wine glass, glass slipper magnet and a glass slipper jacket! The jacket was pricy (76 dollars with discount, 84 without) but I really liked it! Afterwards, I went to check out the tinker bell half medals. I&apos;m definitely need the minority as I really like the challenge medal! It relates so well to the movies and all of the pixies. I then waited in a 10 person line for KT tape which took forever! People didn&apos;t know what they wanted tape and this couple hogged one of the tape guys but going back and forth and then getting another area taped. I got my shins done and it was pretty fast! Afterwards, I walked around the expo and got a free sample of good sense and visited with Jeff Galloway where I was able to ask my 2 questions: 1. How do you slow down for long runs: adjust your interval or take more walk breaks. 2. Should I adjust my interval: he suggested to get to a 10 min/mile pace to try 90 sec running and 30 sec walking. I&apos;m going to definitely try it out this weekend! Then I walked around the booths, used the restroom and headed out to the hotel to finally unpack before heading to MK for dinner. Overall the expo was good-lots of stuff to do and see. It seems like there are a lot of newbies as a lot of people were confused on where to go and what to do. I&apos;m happy with my corral placements and the shirts and excited for the weekend! What did you think of the Princess expo? Do you like expos in general? Hi all! Linkup Friday!! Thanks to our amazing hostesses: the DC Trifecta Bloggers (Courtney from Eat Pray Run DC, Mar from Mar on the Run, and Cynthia from You Signed Up For What?!). This week&apos;s theme is 5 Races in 2015! As you know, I am currently shooting for close to 30 races in 2015 so I have a lot on my calendar. I have decided to highlight the races I am looking forward to the most and why! It is coming up soon and I am looking for redemption. After my results from last year with it being insanley hot (80 at the finish line by the beach, NO THANK YOU) and them running out of Gatorade at mile 2 and only getting about 4 cups of gatorade the whole time, I am ready to redeem myself. My boyfriend convinced ME to sign up for this-how crazy is that? It looks like it is going to be really hilly (I know the area and part of the course goes up into the Hollywood Hills). I am looking forward to this so I can get better at hills and get over my fear of them. I doubt I will PR and that is okay-it is more about the experience. My brother is flying out from Texas for his first half marathon and my boyfriend is in after missing the great fun of the Star Wars 10k and half. I have a few other friends running so it will be a big grand party. and not to mention, it is the 10th anniversary of the race and the 5th anniversary of my first race!! 4. Fall marathon (city TBD). I have applied to the NYC marathon and we will see what happens. I am looking forward to my first Fall marathon and my first major race in another city. I do not plan on going for time but I plan on training and running hard. This is on the top of my list. After being very injured by the 2014 race and the pouring rain, I want a real wine and dine experience. I have a few friends in it to run with me so I am looking forward to a fun race especially if it ends up being the week after the NYCM. What are some of the races you are planning on running this year? Jeff Galloway Virtual races and more Tips! As you know, I am a huge Jeff Galloway run-walk-run runner as well as a Galloway Blogger. After talking to Jeff at both the Dopey and Star Wars Expos, he recommended we do the virtual run and I decided to have Jeff Galloway's races be my first virtual runs I tackle. All you need to do was register (I did both the Jeff Galloway 13.1 and the Barb's 5k) and then submit proof of running that distance. You can submit a garmin screen shot or results from an official race. I submitted both the results from the LA Rock n Roll Half Marathon and the LA Turkey Trot 5k as they were the easiest to submit. It took about a week for them to be confirmed and about 3 weeks for my packages to arrive. I was very impressed with the tech shirt (a tech shirt for a 5k is awesome!) and the medals. The best part is as a virtual runner, you are considered a Legacy and you will be considered for 5 year awards when it comes up. Here is the link to register: hurry as you have until March 1st to submit your results, which is right around the corner! You can also sign up to run the 2015 races as well. Anyone else do the Jeff Galloway 13.1 virtual races? Have you participated in other virtual races? I actually finished reading his Mental Training book yesterday and plan on talking about some tips from it next week so keep a look out for that! As a Galloway blogger, I am given tips straight from Jeff Galloway himself. I was not compensated for this post: I paid for my virtual race entries myself. I am an official Fit2Run Ambassador! Hi all! I am finally back from the long weekend. I will be recapping everything soon (including a Catalina overview and the greatness of the Lady and the Tramp movie screening) but in the meantime, I did something super exciting this weekend: I officially became a Fit2Run Ambassador! This means I will be representing the Century City Fit2run store (their new Flagship store in California) and will spread the great word of the Fit2Run brand and store throughout. You will probably notice my social media posts will be tagged as #fit2run #teamfit2run #teamfit2runcenturycity and I am so excited to see where this goes. I honestly can't rave about them enough. Their membership is great-35 dollars a year and you get 10% off. I did their gait analysis for shoes and it was fast and so nice to try on many pairs of shoes. If you visit rundisney expos, they are the large booth usually in the middle selling a lot of stuff so make sure to check them out. Is anyone else a Fit2Run Ambassador? Anyone been to a fit2run store? What is your favorite running store?